The Layman Series by Ademola and Christiana Usuanlele was born out of the necessity to lower the salvo without compromising on the revelation of the Word of God by the Holy Spirit. This is the first volume in the collection. The Layman Series was born out of the necessity to lower the salvo without compromising on the revelation of the Word of God by the Holy Spirit. As the saying goes: KISS: keep it simple, stupid! We want it to be easy to swallow and digest. 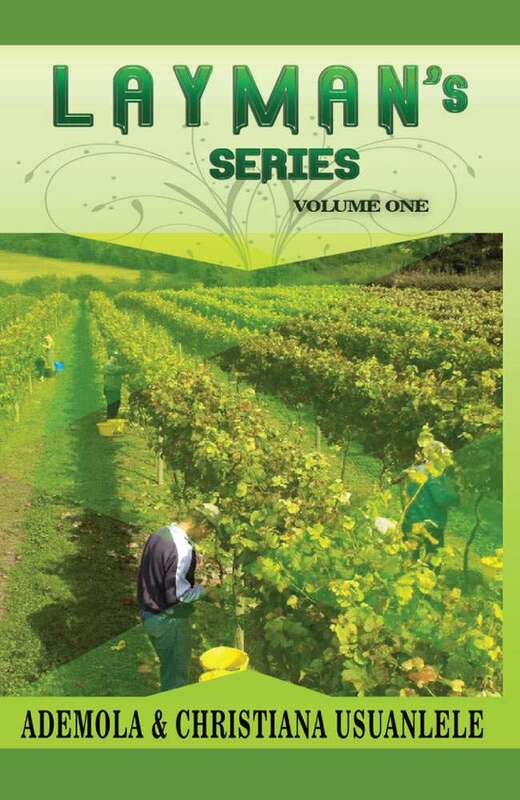 This Layman Series, Volume One, is particularly unique because it has gone where most other books of its kind have not gone before. You can never be bored reading the various spiritually edifying entries. It went in a simple but spirit-awakening way into the mysteries around blood and money. It also has an entry on how parents should love their children from a biblical point of view. 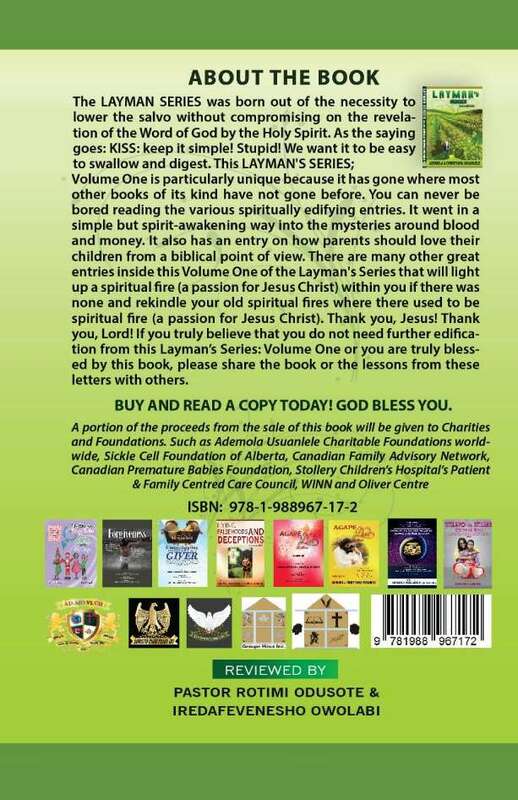 There are many other great entries inside this Volume One of the Layman’s Series that will light up a spiritual fire (a passion for Jesus Christ). Thank you, Jesus! Thank you, Lord! If you truly believe that you do not need further edification from this Layman Series- Volume One or you are truly blessed by this book, please share the book or the lessons from these letters with others. Buy and read a copy today! God bless you! A portion of proceeds from the sale of this book will be given to Charities and Foundations. Such as Ademola Usuanlele Charitable Foundations worldwide, Sickle Cell Foundation of Alberta, Canadian Family Advisory Network, Canadian Premature Babies Foundation, Stollery Children’s Hospital Patient & Family Centred Care and Council and Oliver Centre.